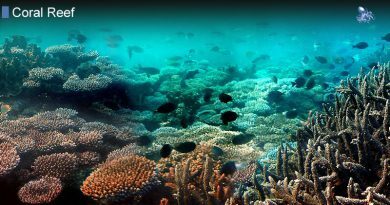 The fore reef is the area of a coral reef formation separating the reef crest from the deep fore reef – and the open sea as well. This reef zone is basically the leading edge of the reef, and a thriving “marketplace” for predators, larger fish and marine creatures that thrive in a more dynamic environment. This is the place to go when you’re looking for sharks and barracudas, and you will find there is also a unique and special elegance to the way this area of the reef has developed over time, allowing for the easier management of waves that has kept corals alive for hundreds and even thousands of years. The fore reef, or reef face, is farther away from the shore, beyond the reef crest. 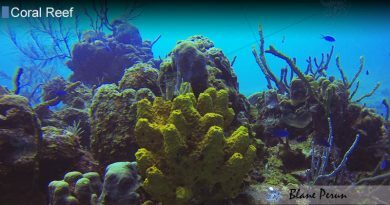 Since it is one of the most hospitable environment on the reef, it often features large, tall corals that are quite diverse in size, shape and species. The reef structure here is quite fascinating, featuring spurs and buttresses of corals, alternated with deep channels and grooves that have formed over time for a special purpose: they basically act like a buffer zone that protects the rest of the coral from the destructive force of ocean waves. They also makes it possible for a variety of smaller animals and fish to thrive here, finding refuge from the waves or forming their own habitats. This, in turn, attracts larger predators and consumers, maintaining the food chain and keeping the coral reef extremely rich and diverse in terms of its biosphere. At the edge of the fore reef you can often find steeper slopes leading down from 20 to 40 meters or more, to even larger and more diverse coral species, before sediment growth and decreased sunlight makes the presence of corals more sparse. 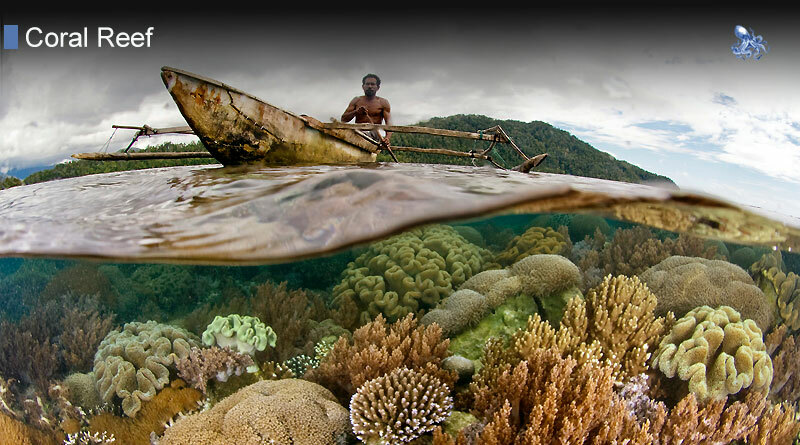 Many people believe that the fore reef is the last part of the coral reef before one reaches the vast and deep expanse of the ocean. This isn’t exactly true, since the reef face is actually much closer than the outer wall – or deep fore-reef. The latter features far more extreme slopes, and leads to a sharp dive of hundreds of feet or more in some cases. The fore reef, on the other hand, starts at the end of the reef crest – a point that always remains submerged, even during low tide – and extends outward to the oceanic side of the coral reef formation, without too many sharp angles or slopes being involved. Sharks, crabs, mantas and a host of other diverse species of creatures dominate the fore reef and make it a truly ripe environment for anything from the smallest creatures and herbivore fish to the largest carnivores to create a true haven here – somewhat like a metropolis of the sea. Currents sometimes bring in sharks and sea turtles from the open ocean, while nearly vertical walls of coral can often be seen teeming with small and medium sized fish, while dozens of species of sponges, mollusks and crustaceans can often be found in this reef zone as well. While not as rich in smaller animals and plant life as the back reef or the protected habitats of coral lagoons, the fore reef is definitely one of the richest and most fascinating areas of any coral reef formation.